It’s important to log out Yahoo Mail inbox for better security of Yahoo account if you’re not using Yahoo mail from your own devices. 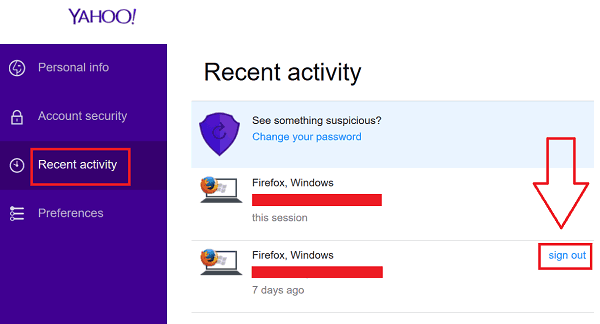 We suggest not to check ‘Stay signed in‘ box underneath the login button, especially when you sign into Yahoo Mail account from any unknown devices. Enabling this feature saves login credentials as cookies in web-browser. Later on, Yahoo Mail account will automatically be logged in when a new user navigates Yahoo Mail sign-in page. It may be harmful to Yahoo Mail account. So, signing out of Yahoo Mail account prevents Yahoo email accounts in such hazardous conditions. When using Yahoo from public device, you have to sign out from Yahoo email account so that no one can access it without Yahoo Mail Login password. 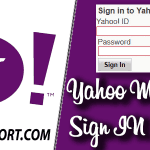 Follow our step by step guide for safe Yahoo Mail sign out from your Yahoo email account. Hover your mouse cursor over the user icon along with your name at the right top of your Yahoo Mail inbox. Click the sign out Button from the pop-up windows as shown below. After you click ‘Sign Out‘, you will be redirected to the home page of Yahoo Mail. It must show ‘Sign in’ at the right to the corner. Now you have successfully signed out from your Yahoo mail account. Sometimes we may forget to Sign out of Yahoo Mail account. In this case, you can use this option to log out your account successfully. Remember that you need to sign in Yahoo Mail account first to start this option. 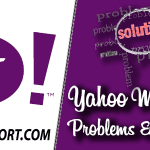 Following steps will help you to sign out Yahoo Mail account successfully. Go to ‘Account info‘ or navigate Yahoo Mail Account Info directly. You will find the list of the last few activities associated with your account. You can also revoke access to apps that are connected to your account. Click ‘Sign Out‘ for each session that you want to Log Out off. The session will be signed out immediately. You will get a new pop-up message right below your recent activities list. You can log in to Yahoo Mail again after signing out. I tried to put yahoo email on my cell phone and now every time I log out of Yahoo I have to get a code to sign in sent to me. I have not been able to get it on the phone yet and have had to reset password . Can you help me? It takes a long time for me to get into my email. 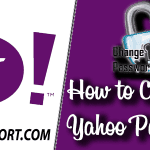 After you sign in to your Yahoo account, go to settings and then Change your yahoo password Then you can use it next time without any hassle. Try to remember the phone number, there must be somewhere where you’ve saved or your friends might have your old number. Did you have other email accounts as recovery email? If so why can’t you access to those recovery emails?